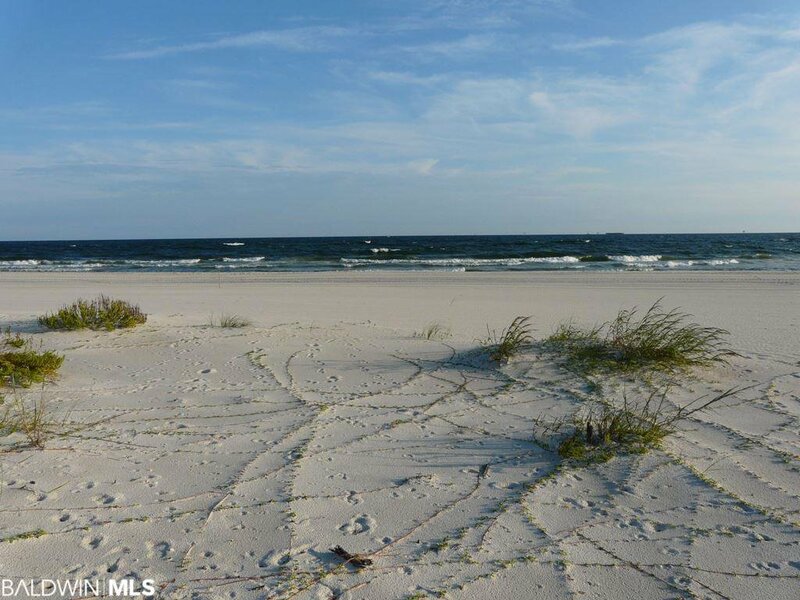 Build your dream beach house for personal use and/or for rental investment on this wonderful, square, corner gulf front lot in coveted Government Subdivision. 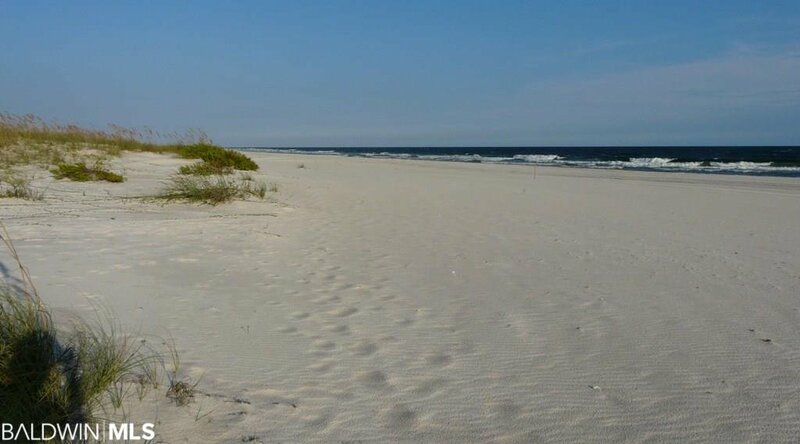 Lot has gorgeous, unobstructed views south, east and west across the sugar white sands and emerald green waters of the Gulf of Mexico. This subdivision is just after the 100s of acres of the Bon Secour National Wildlife Refuge. Already has an ITP to build your home on the previous footprint which will help make your building costs be less. The current incidental take is for 2600sf to 2700sf of ground coverage. You can build quite a big house. If you wish to maximize the buildable area allowed, all you need is an updated letter from Fish and Wildlife. In this subdivision called Government Subdivision, the gulf front lots are along the one lane gravel roads, Fishhouse Rd and Chewning Ln. Driveway for this lot would be on the paved Veterans road.The land south of the these is all owned and set aside by the US Department of the Interior and will not be built upon. Hence the unobstructed gulf views and access. This lot is at only $4165.91/FF and 17,424 sf and other gulf front for sale off Chewning is $4819.28/FF and much smaller at 10,956sf.